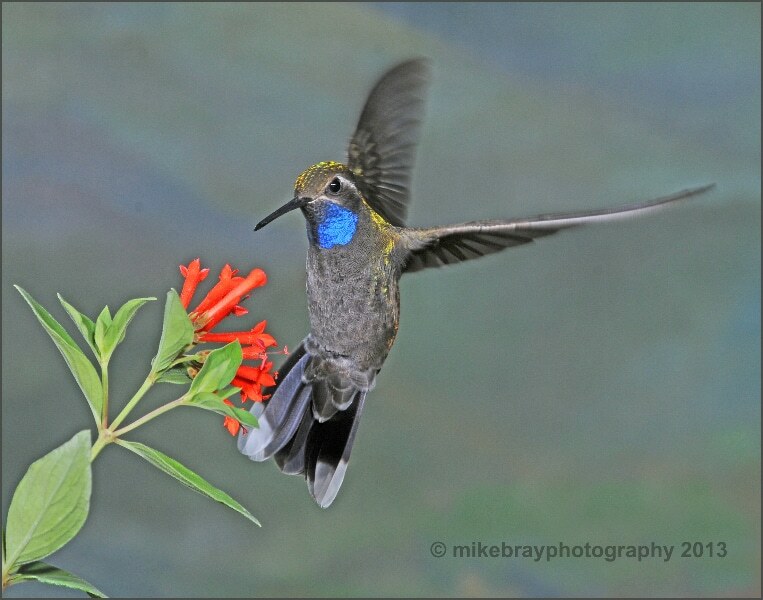 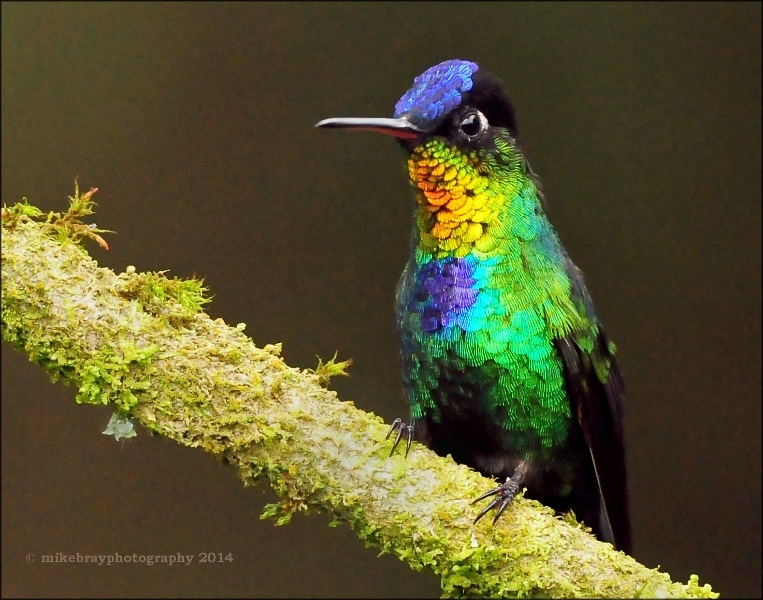 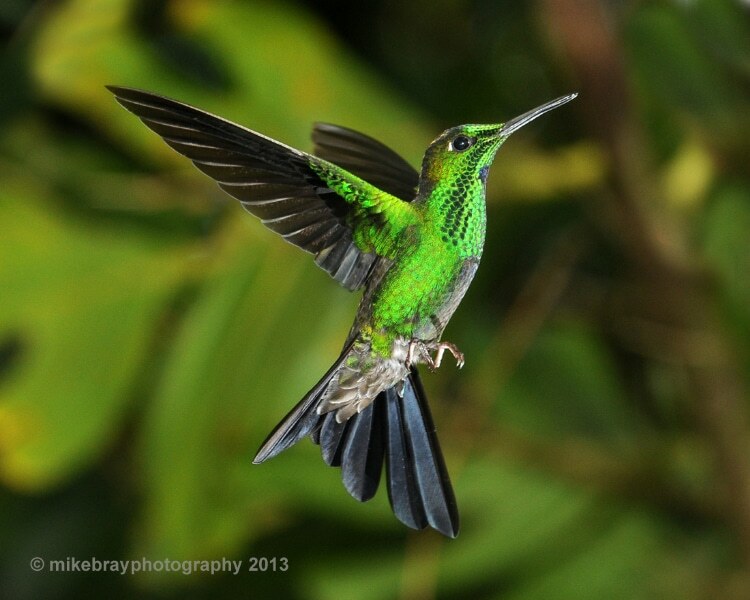 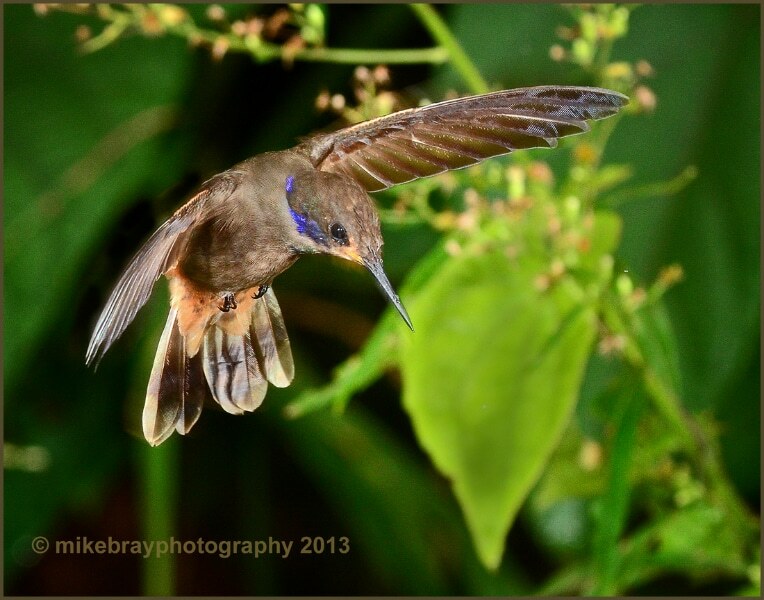 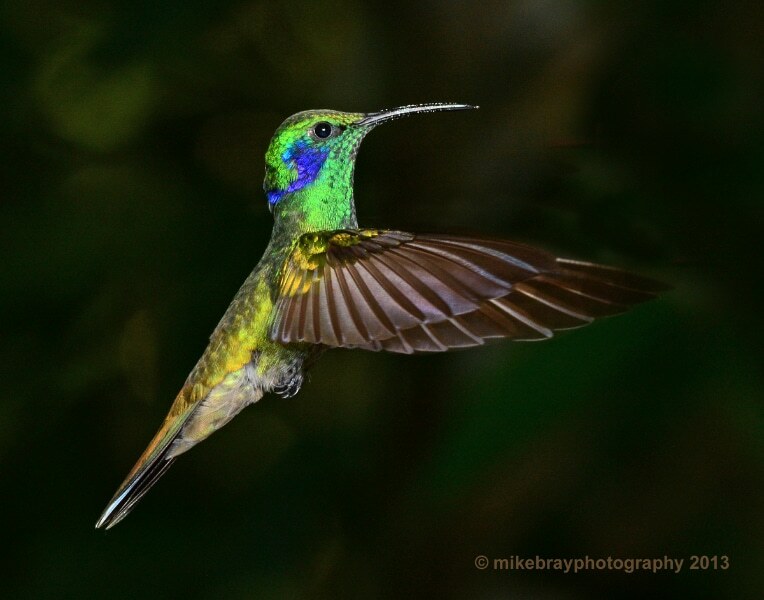 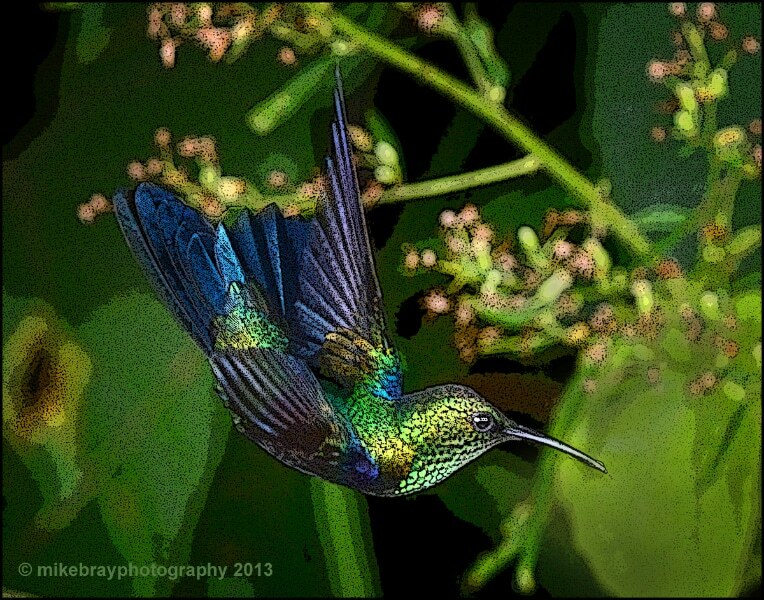 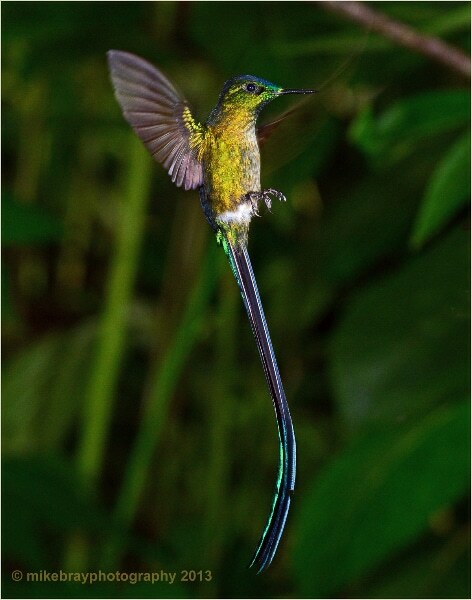 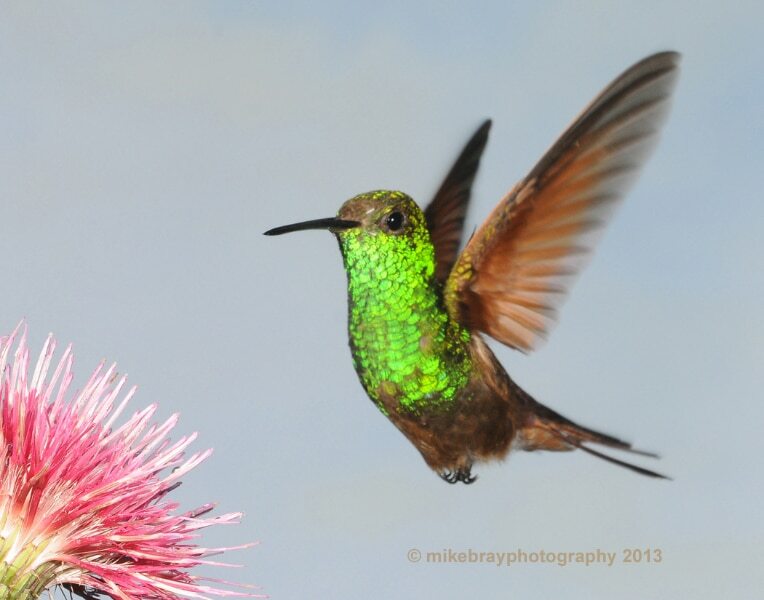 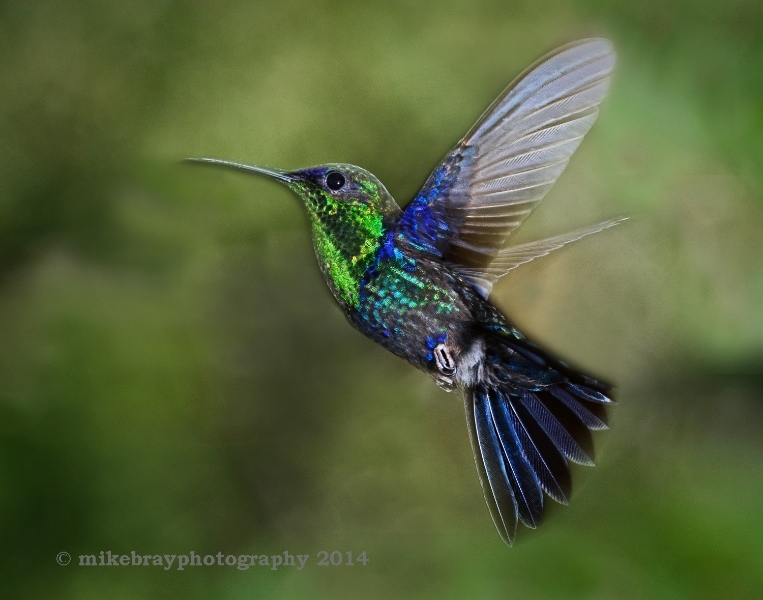 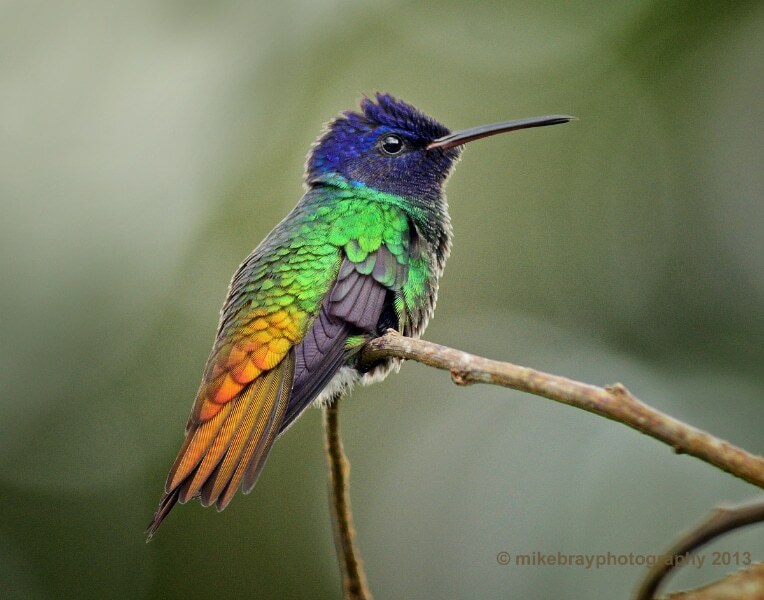 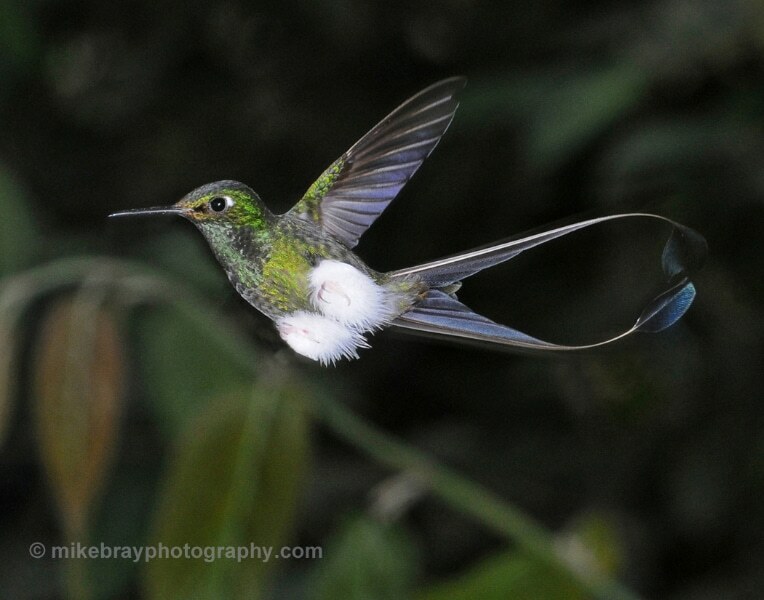 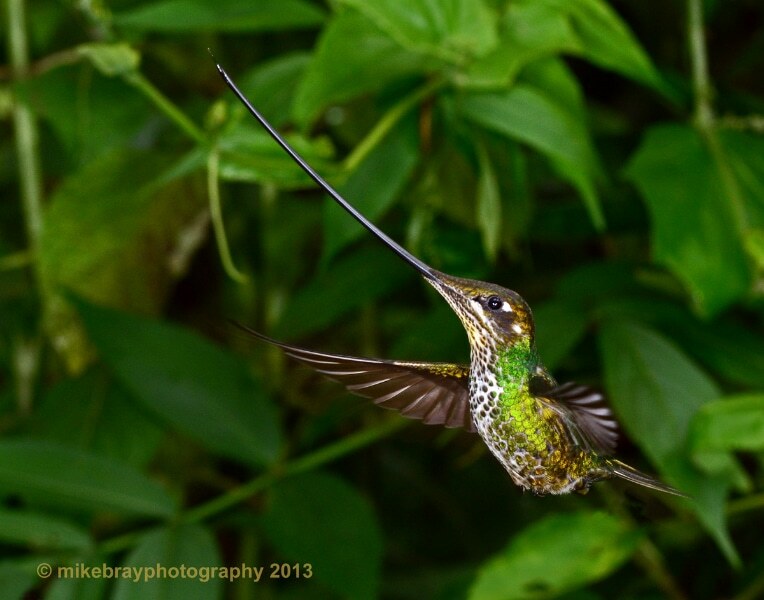 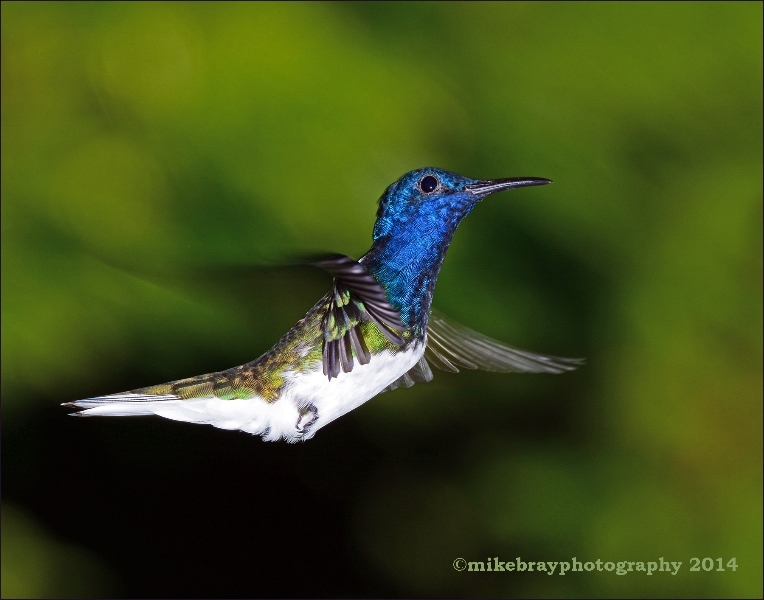 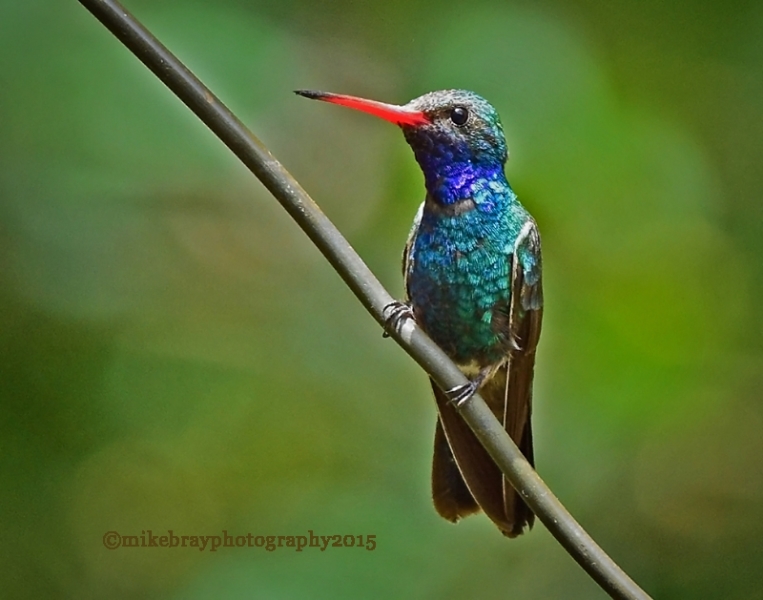 The Green Violet-ear hummingbird in the featured photo can be found in both Costa Rica and Ecuador. 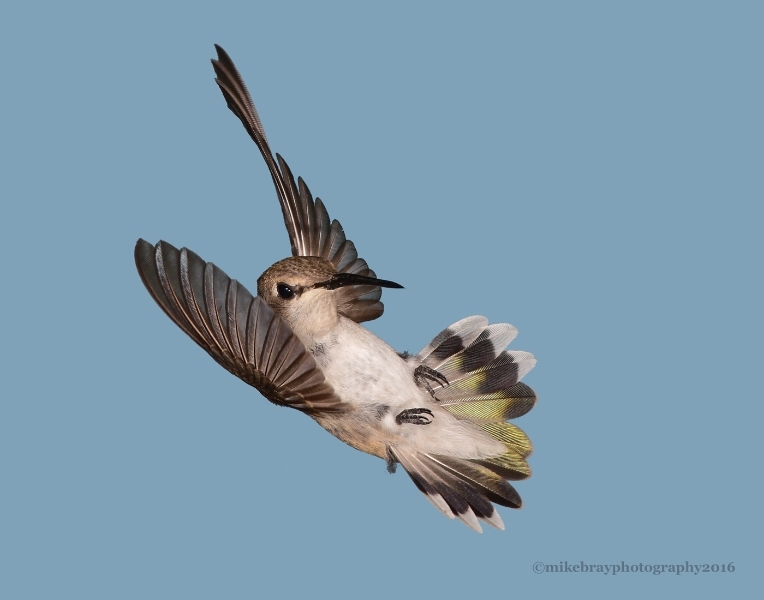 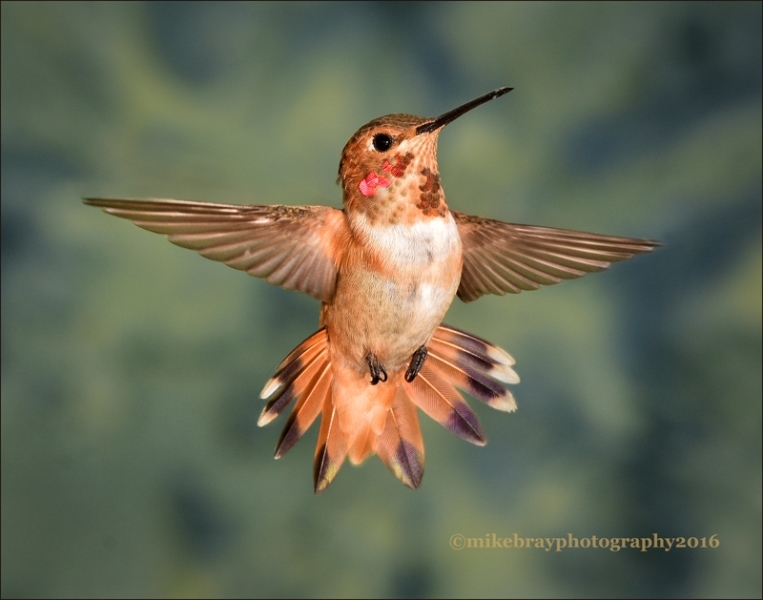 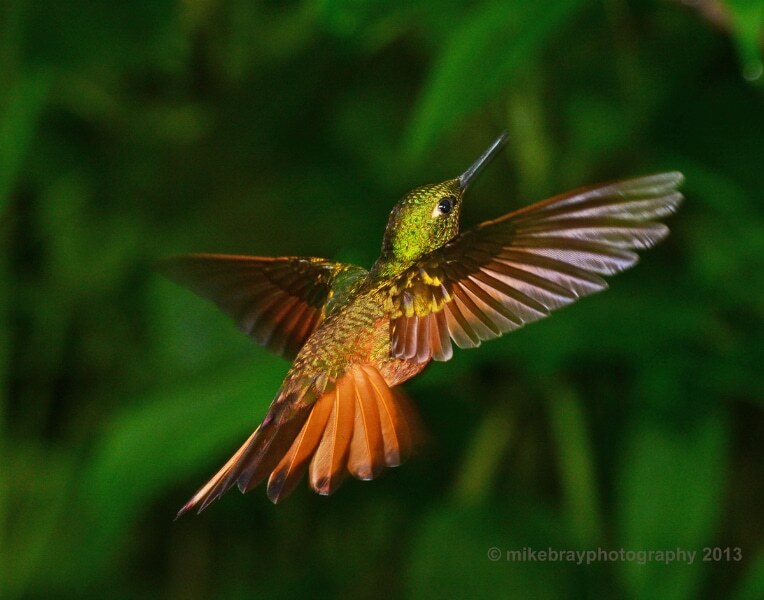 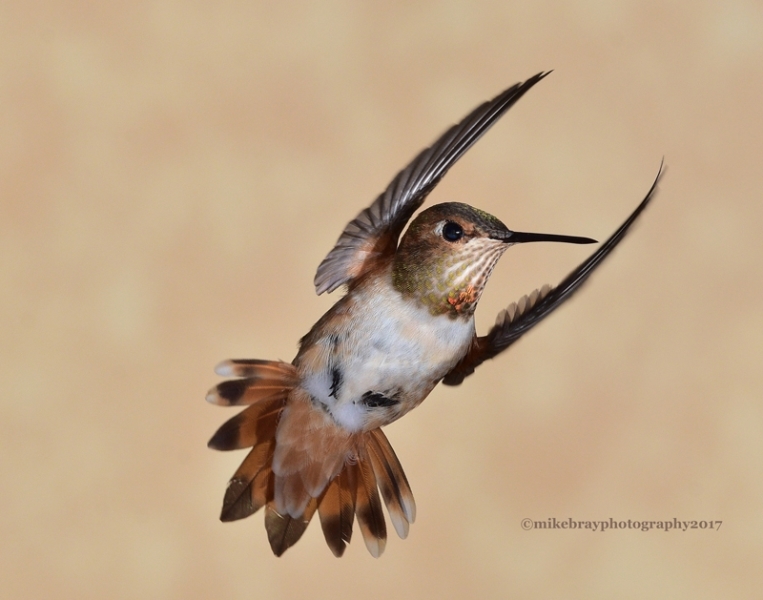 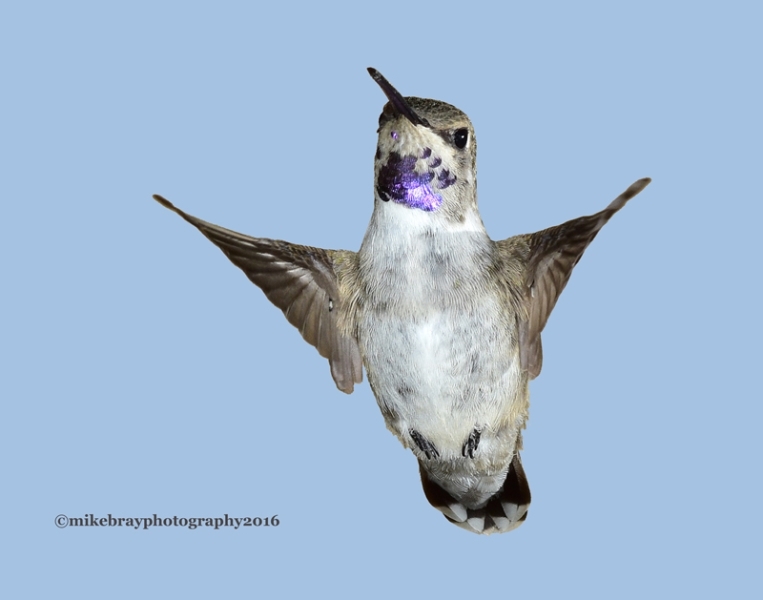 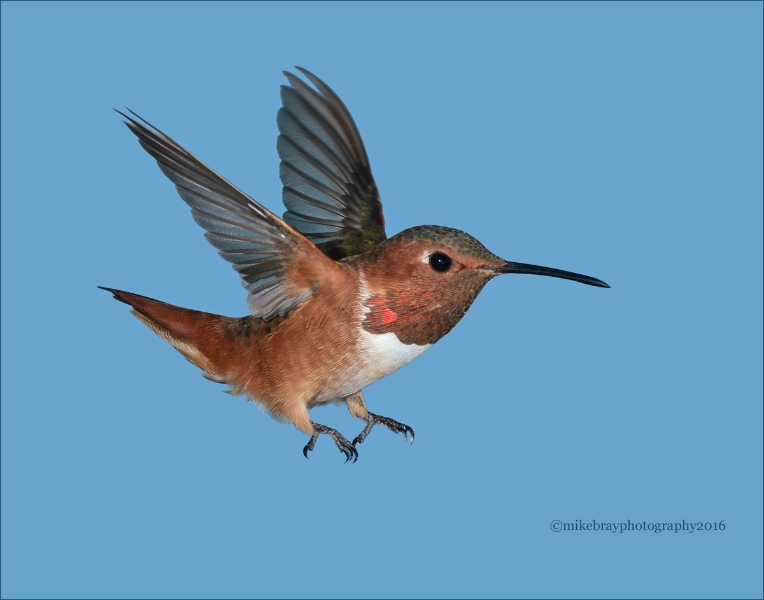 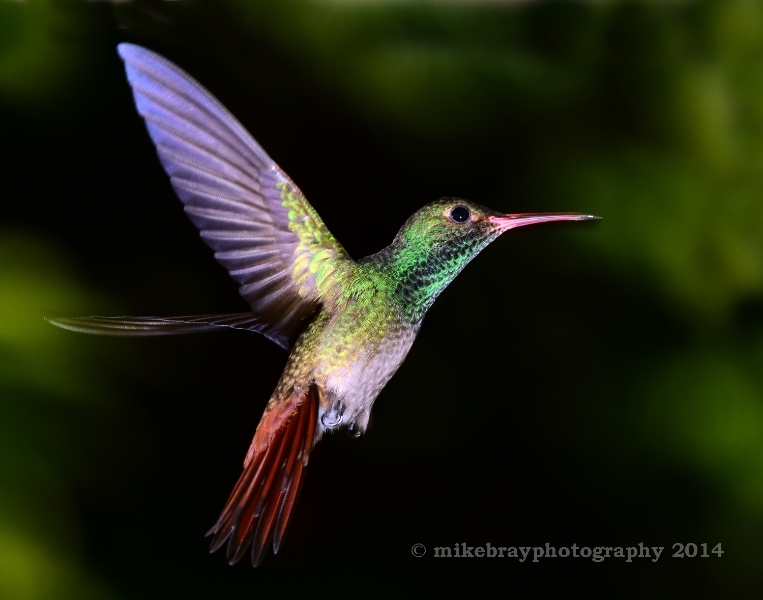 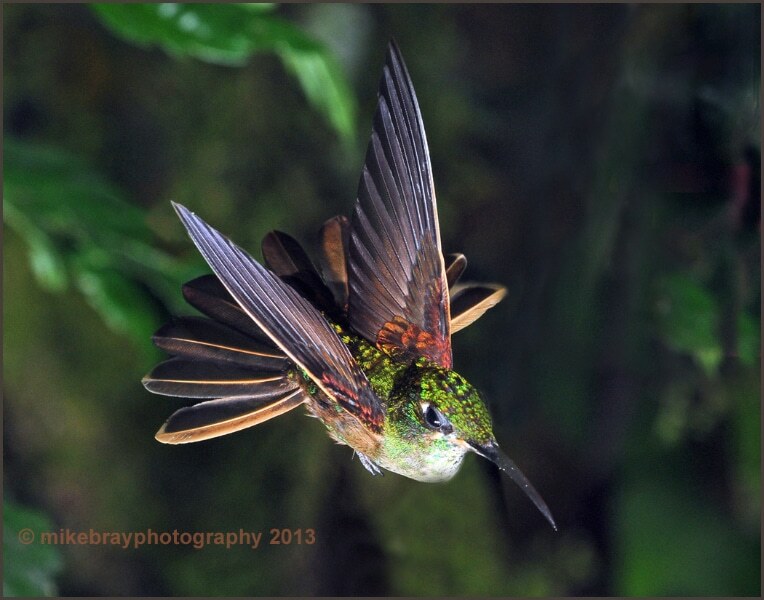 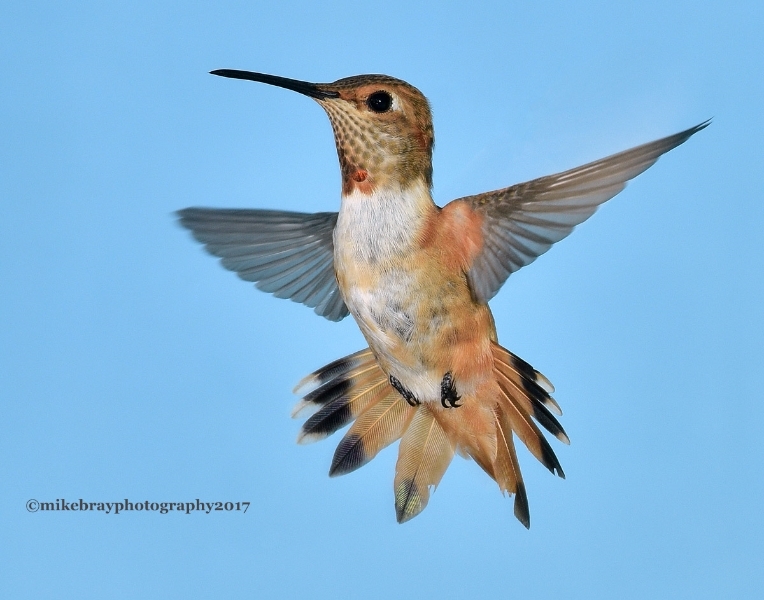 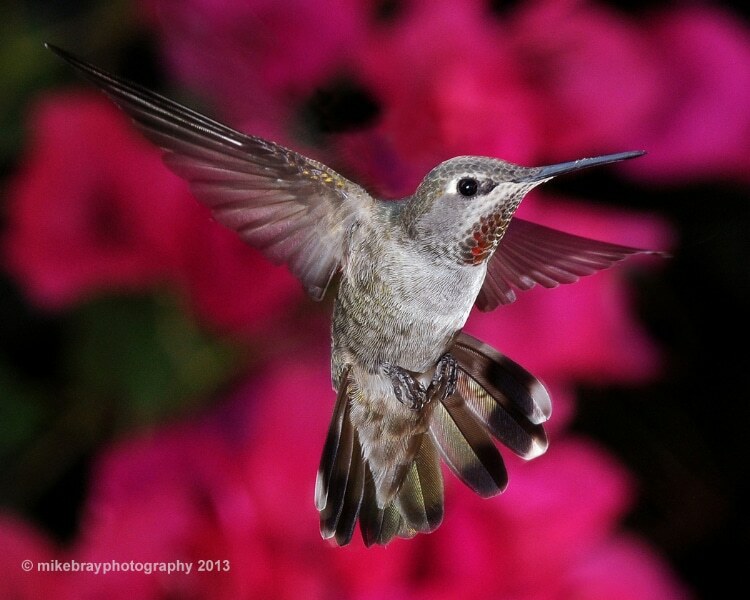 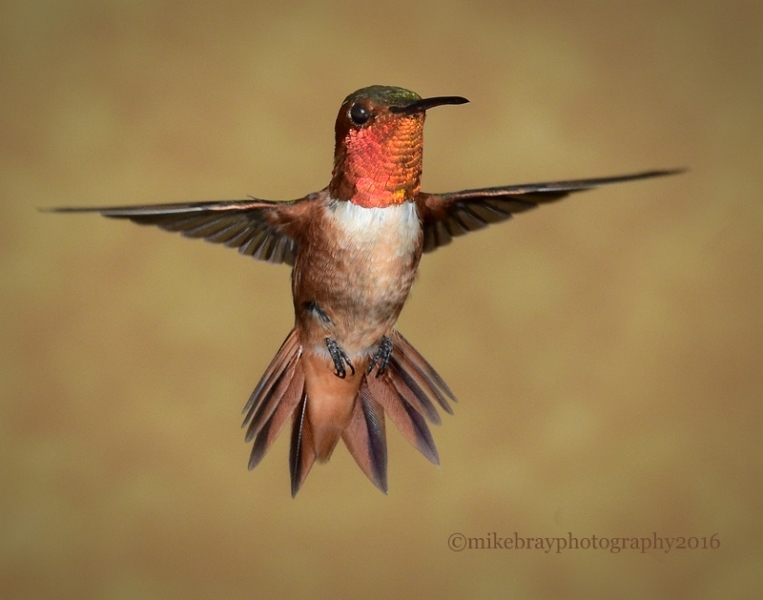 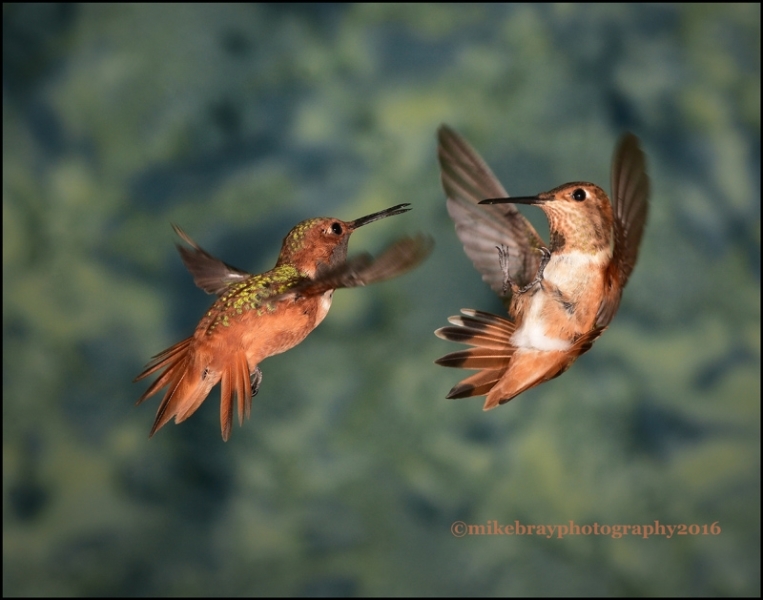 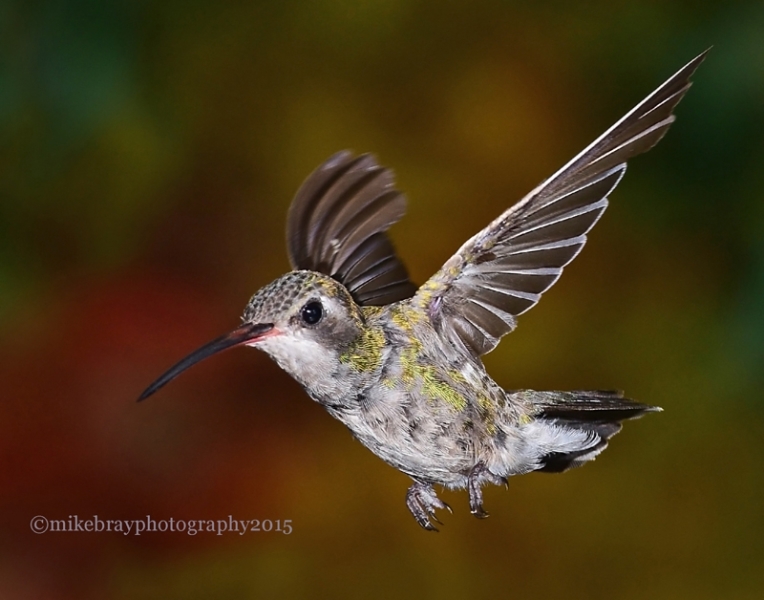 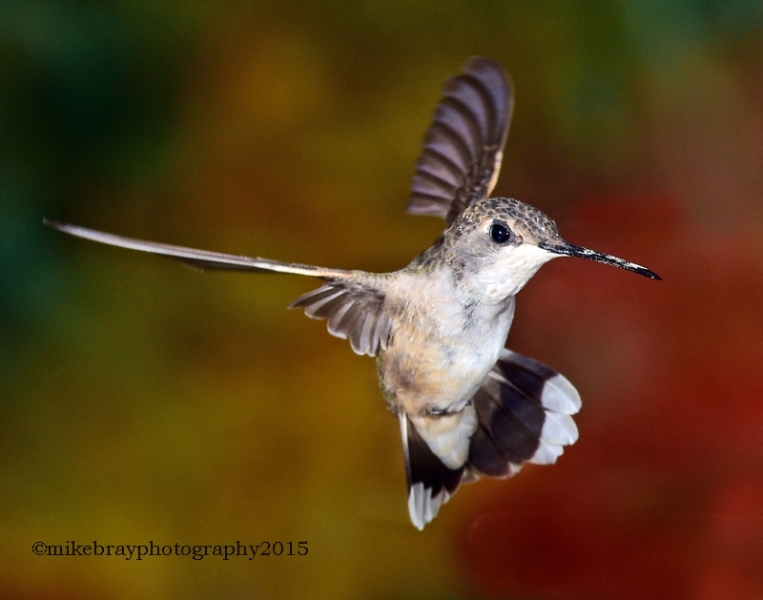 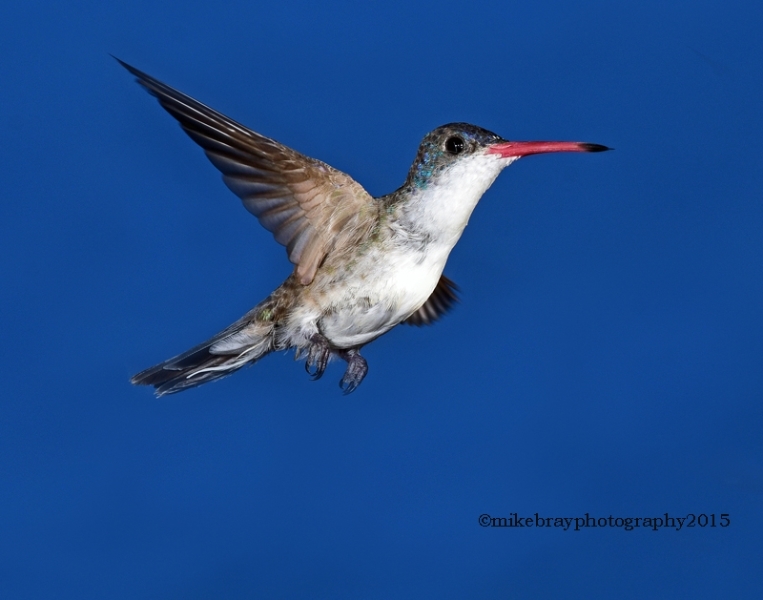 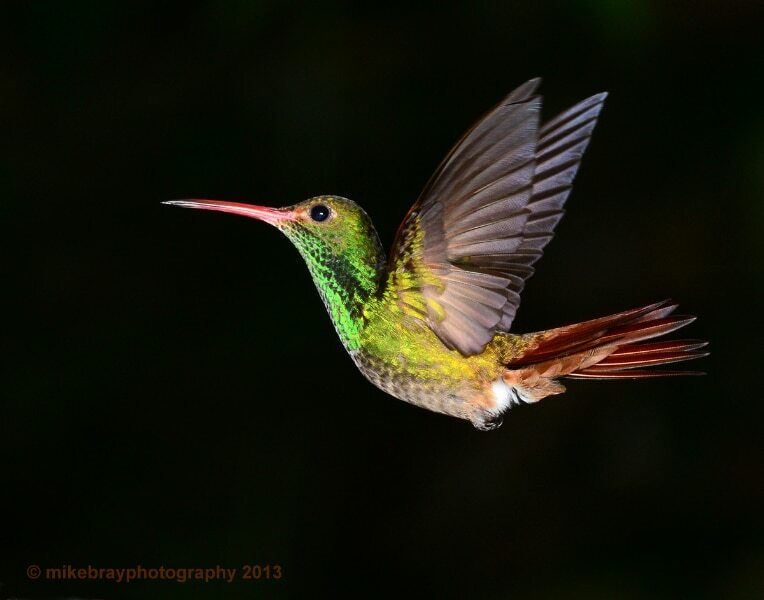 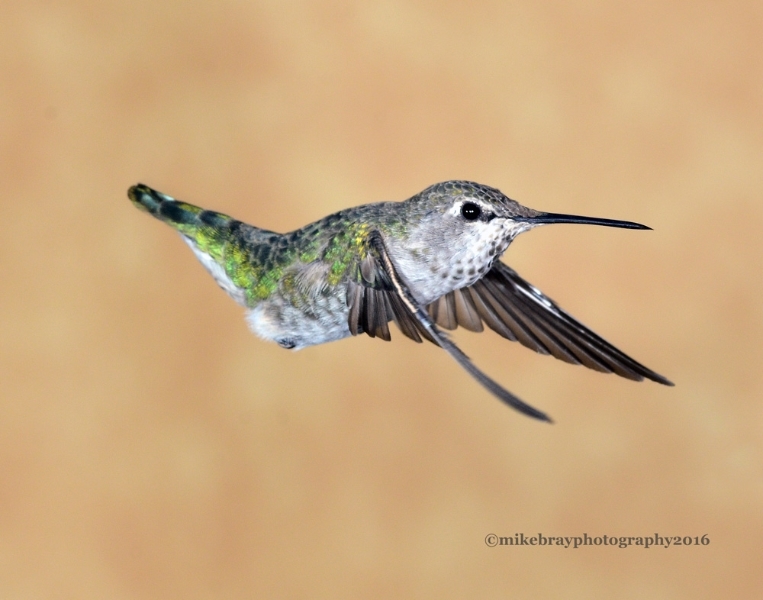 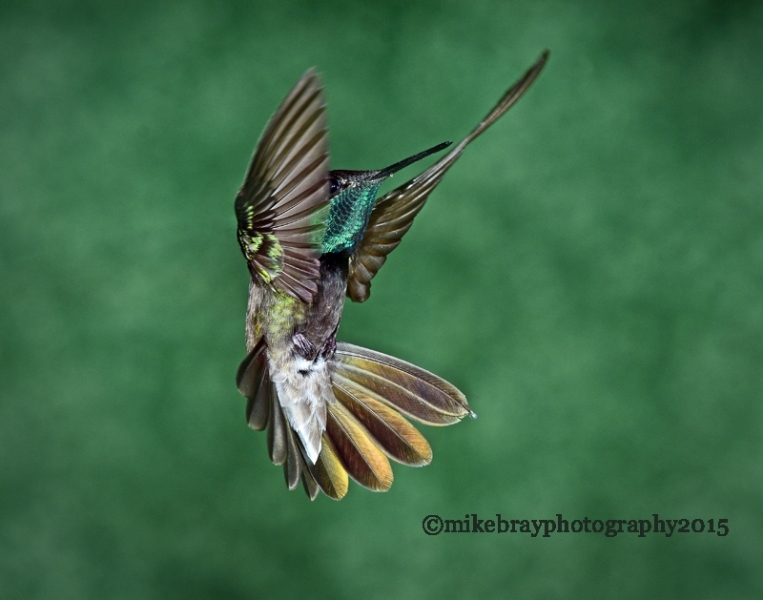 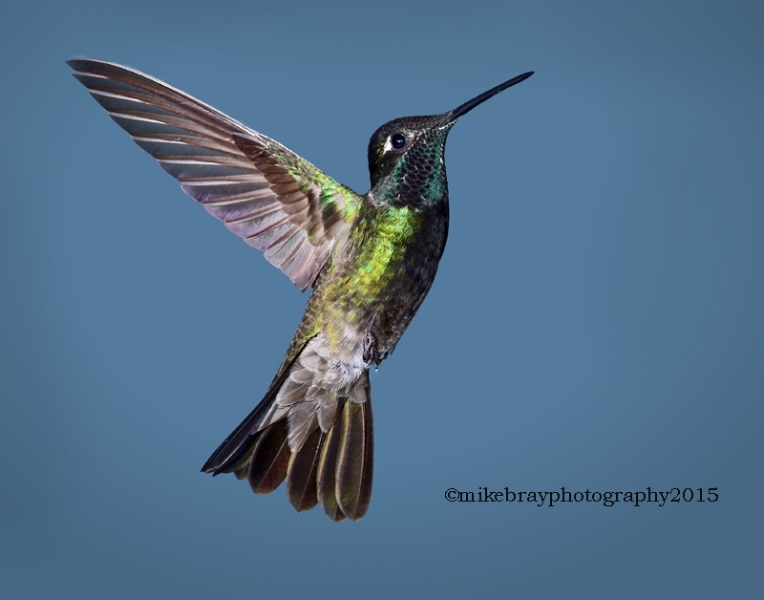 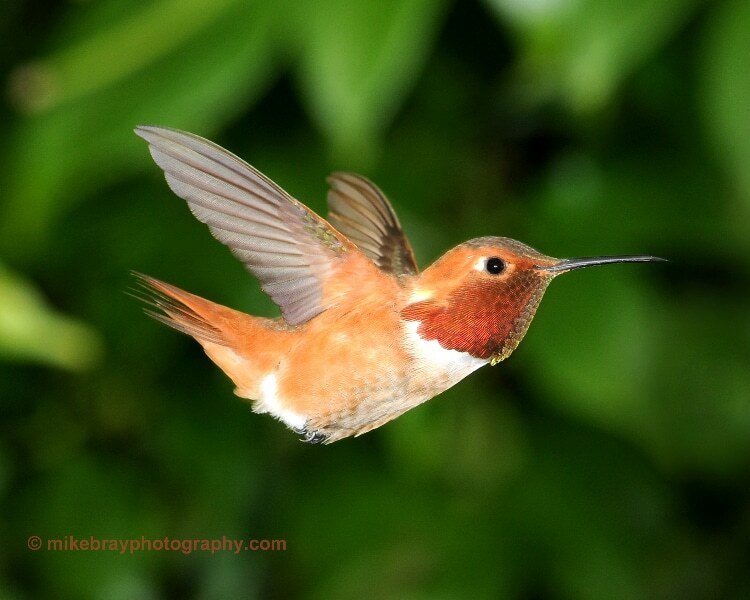 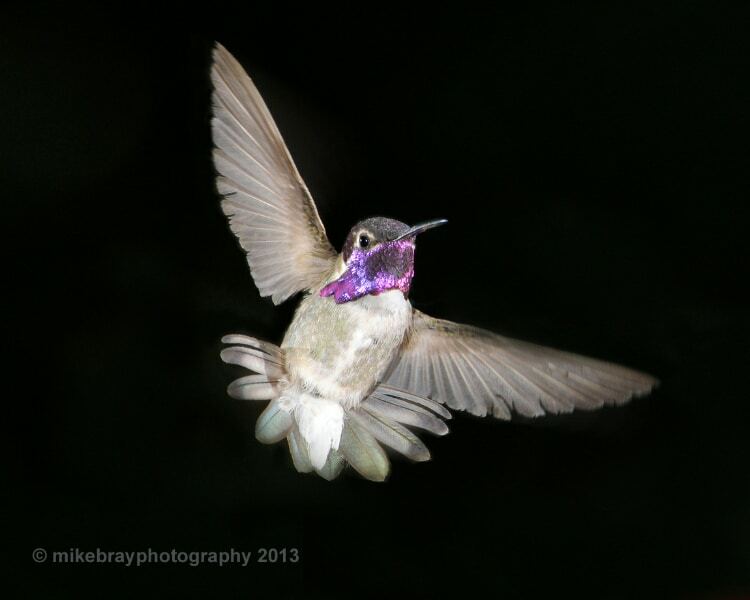 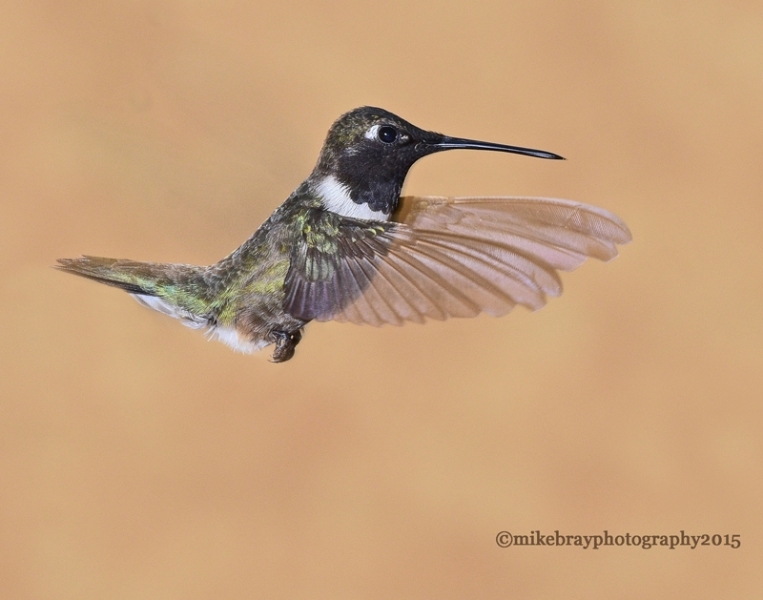 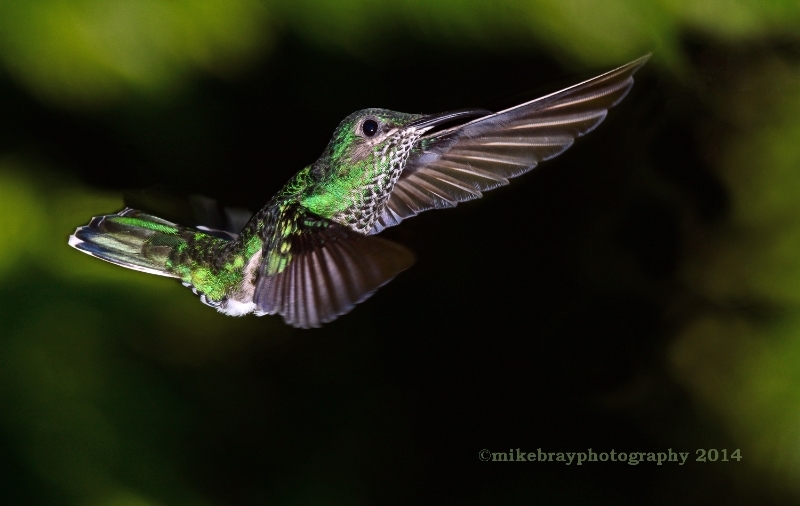 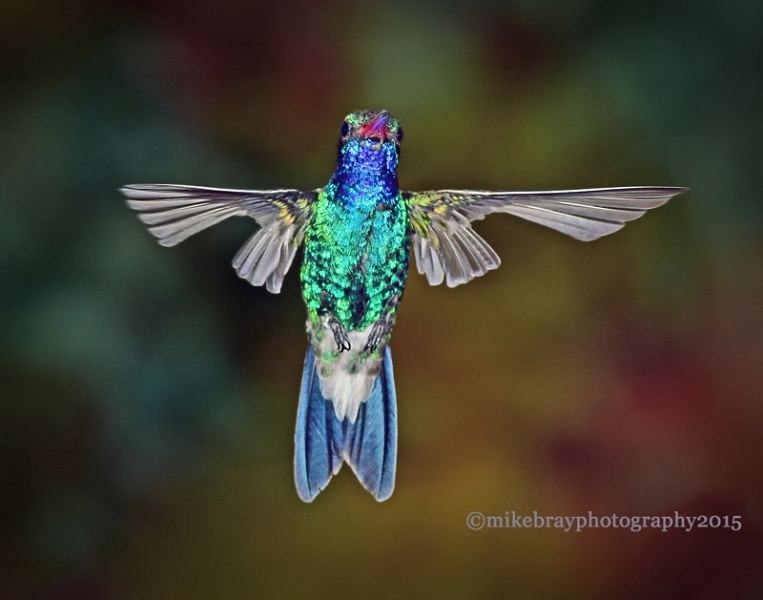 The key to getting good images of hummingbirds is to use flash units to “freeze” the motion of their wings and produce even lighting on the bird. 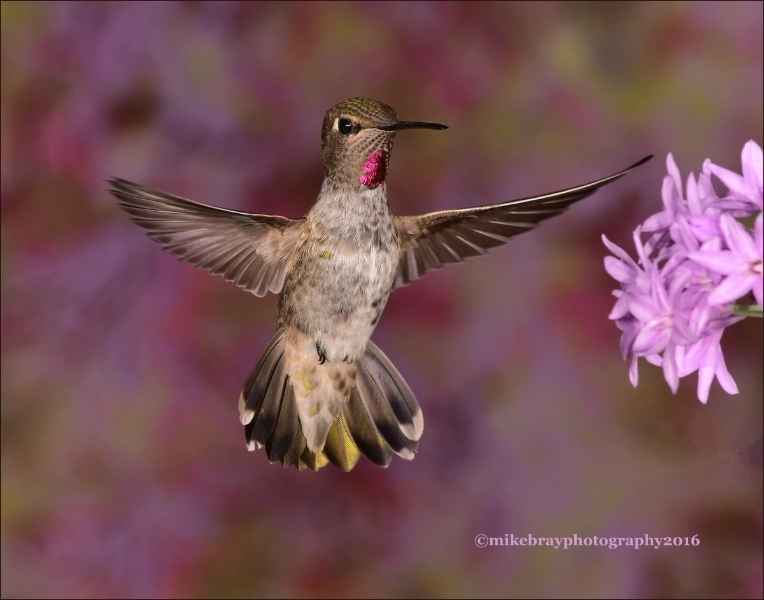 Some interesting facts about hummingbirds; a lifespan can reach 10 years, the wings beat about 60 times a second, their resting heartbeat is about 500 times per minute, and hummingbirds are the only bird species that can fly upside down and backwards!